Communication with the fans lasted for about an hour and a half. During thar time, hundreds of fans of the Donetsk team received autographs on cards, shirts, footballs, they also took selfies with their idol. - It’s very nice to be present at such an event, - Shevchuk told shakhtar.com. – I can see that they love Shakhtar in Kharkiv! I was glad to see so many fans. There were some familiar faces, of those who travel to the matches across all cities of Ukraine. - What are your expectations from the forthcoming meeting with Celta? - Tomorrow we are facing a difficult match. Shakhtar play against good team. In the first leg the Pitmen were stronger, but we’ve got the return game ahead. It, I think, will be similarly difficult. - What is needed for a positive result: to defend securely or, for example, to score an early one? - Both. I think Celta will try to display the football they showcase in their league, so we should be watchful again in terms of upfield pressure from their players. Still, I expect only victory from Shakhtar. The club shop at OSC Metalist (65 Plekhanivska St; Sportyvna underground station) is now open daily from 10:00 to 20:00 without breaks and days off. You can buy all sorts of merchandise at the Pitmen’s fan shop. An entirely new range of products, as well as special items dedicated to the Shakhtar vs Celta match, await the customers. 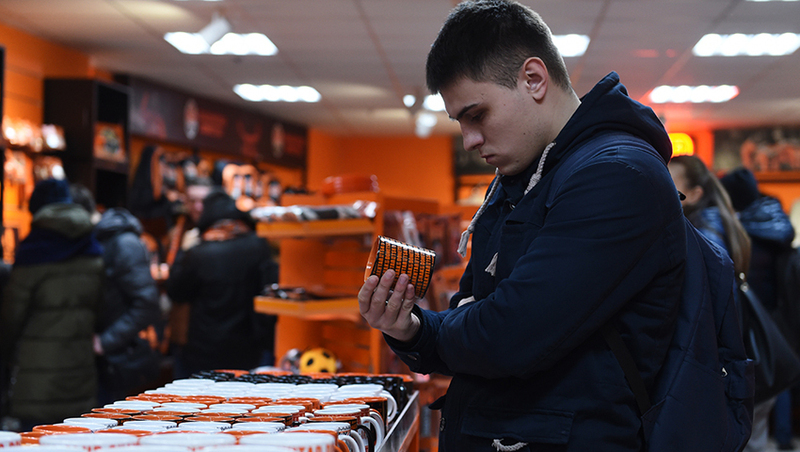 On match days, the shop’s opening hours will be extended by one hour after the final whistle.